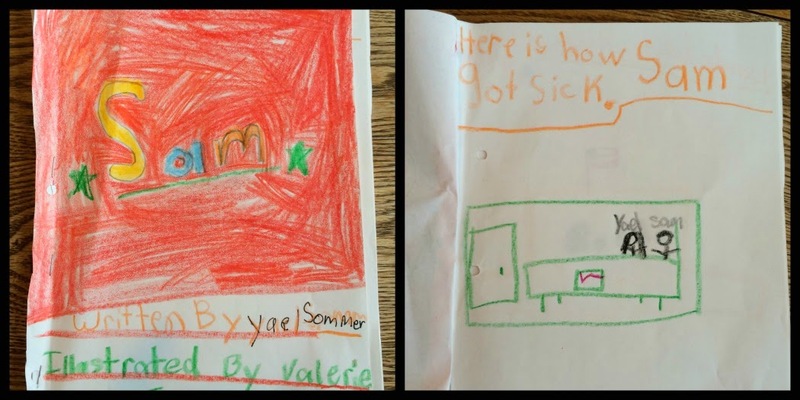 Yael went to a playdate on Thursday (no school) and she came home with a book that she'd created with her friend. 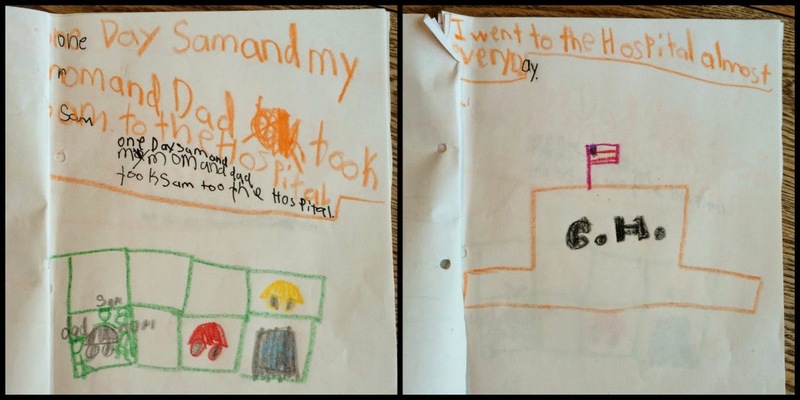 "I wrote the words and she illustrated it," my daughter told me. "But I told her what to draw," she said. I'm going to let it speak for itself (with a little translation under each photo, in case you don't read First Grade) and probably not comment on how much like her mother she is. One day Sam and my mom and dad took Sam to the hospital. I went to the hospital almost every day. 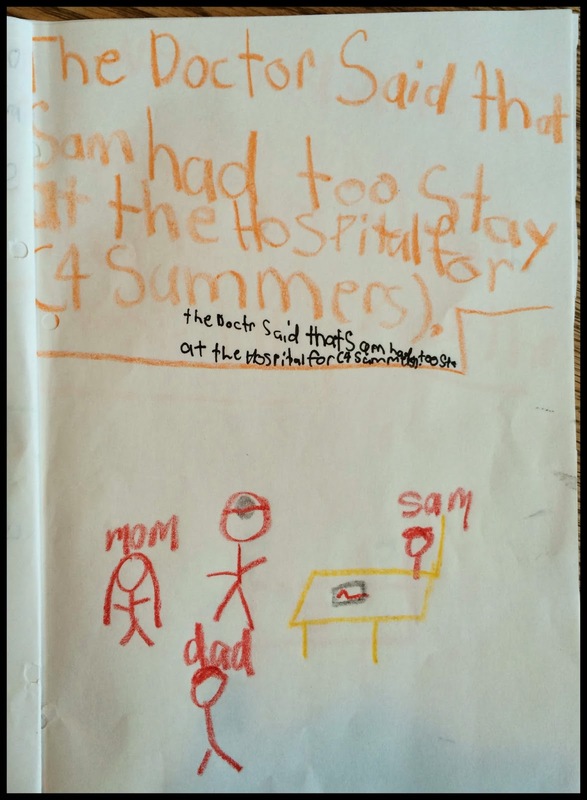 The doctor said that Sam had to stay at the hospital for 4 summers. I was sad when I found out that he had to stay at the hospital. 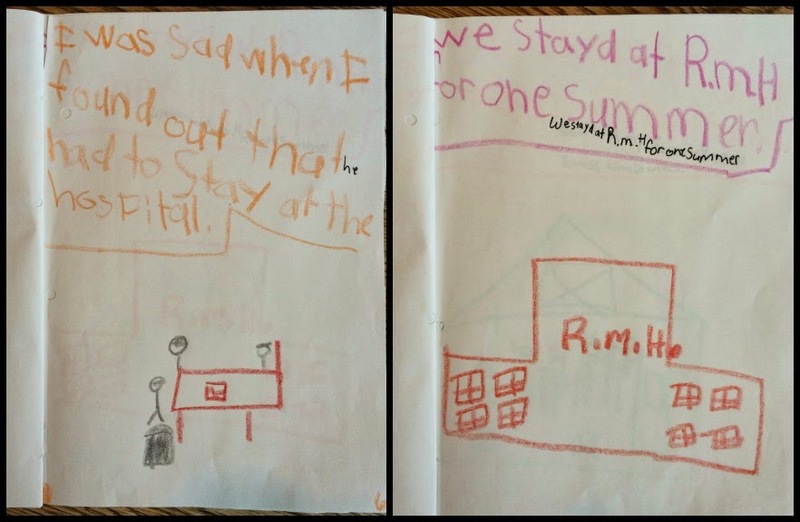 We stayed at RMH (Ronald McDonald House) for one summer. On the 14th I never stopped crying. One morning when I got up I asked my mom where is the nurse and Sam. She said that he was dead. Then Rabbi Steve came and talked to us. Then we had a funeral. The end. P.S. In case you're wondering (I know you are), she was very enthusiastic about my sharing all of this with all of you, and she read over my shoulder as I posted, to ensure that she was quoted accurately. Oh God. Weeping. So much love to all of you. I'm certainly no psychologist, but this seems like very healthy processing by a kid who is not afraid to talk about her tragedy. That's impressive and inspiring. Such an abrupt ending; kind of like in real life...only not really, because you all have to keep living, thinking, feeling, remembering, etc. I am so impressed with her (and her book), but wow, how incredibly heartbreaking, too. What an amazing little girl you have there, Phyl. Treasure that book forever (like I know you will). Yael thank you for letting me read your book. You helped everyone understand exactly what happened. I teach small children,in a synagogue, and I don't think I've ever known any girl or boy who writes as well as you do. I'm so sorry that Sam got sick. I hope that even though you're sad, you can remember to be proud of yourself for telling his story so beautifully. This is so beautiful. Heartbreaking and beautiful. 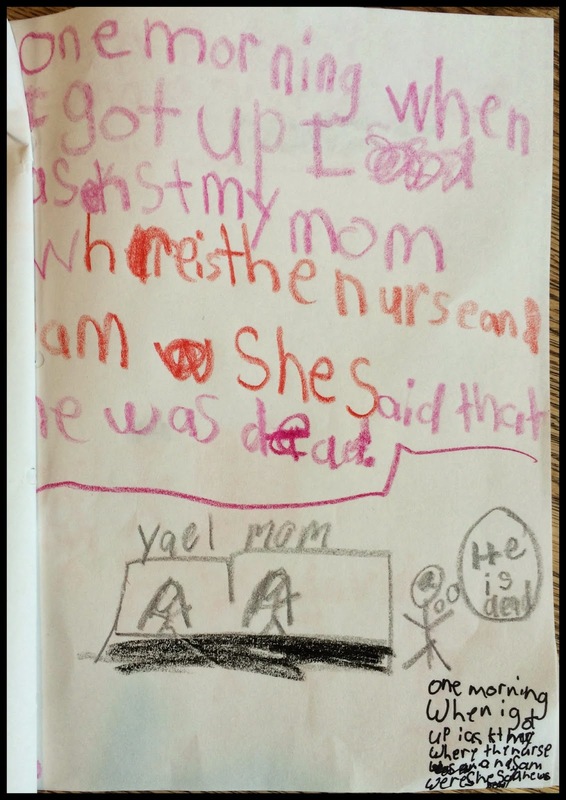 Dear Yael, I hope you keep writing stories. Stories help us remember the people we love and understand the feelings we have. I think Sam would be very proud of what you have written. 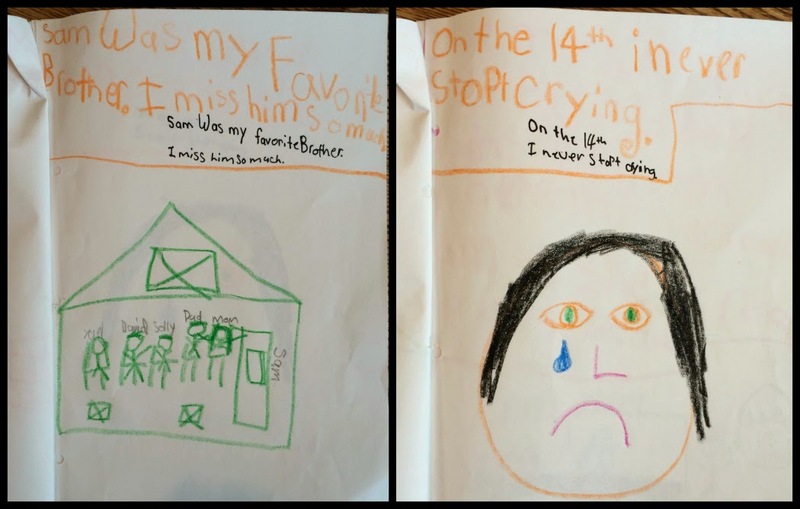 very good that yael is able to express her feelings by drawing and story. may you share much warmth and love. How tragic and how beautiful. Yael, thank you for letting me read your book. Sam was loved and is missed by many people. 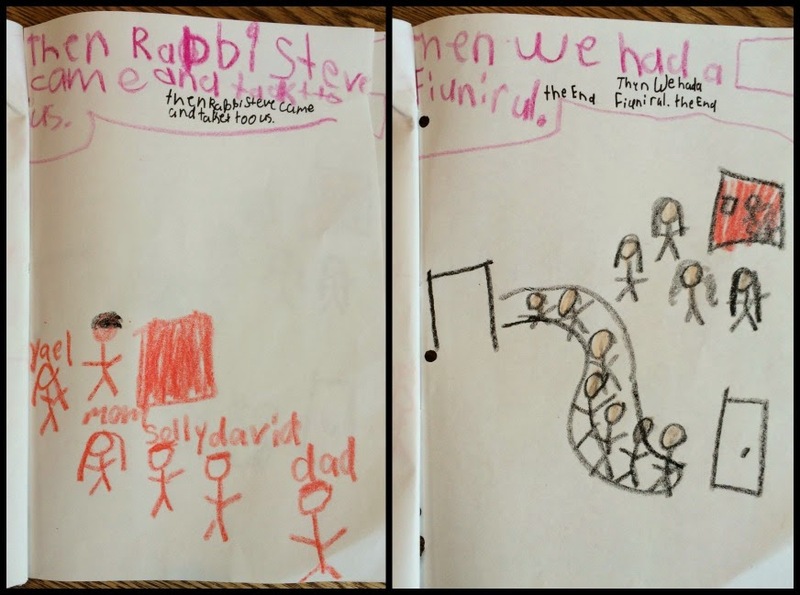 Yael wrote a perfect summary of your family nightmare. You should publish it as a book for kids. Dear Yael, Thank you for writing your book " Sam". It is a sad and beautiful and honest book. It made me cry with you. Thank you for sharing your feelings with us. You are a caring loving girl, so much like your mom. And you are a good writer like her too. Sam would be so proud of you. That was a lovely tribute Yael. Thank you so much for sharing it with us. You are a very talented writer. 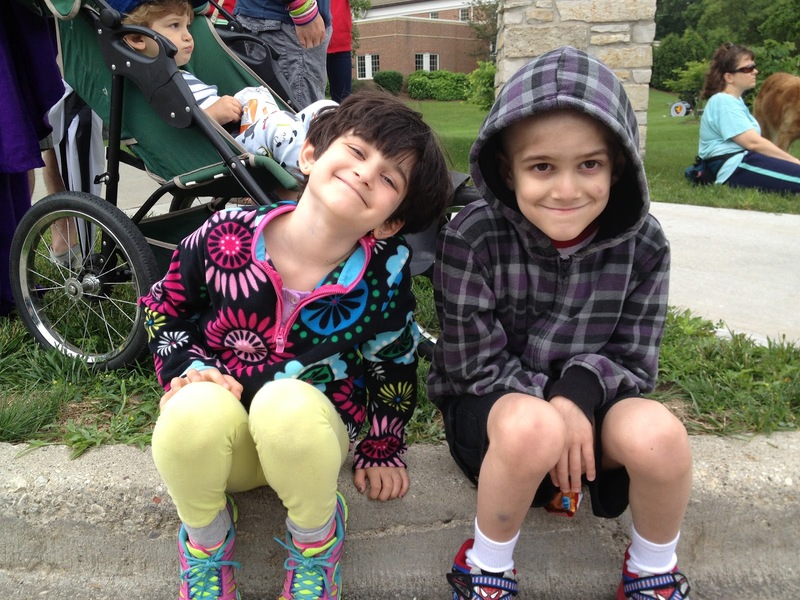 I have been following your family's blog but this was soooo special I had to tell you and thank you!!! Yael, you have told a remarkable story about your dear brother Sam. It is such an honest and beautiful thing. I am so glad you have such a wonderful gift of words to share this with us. Thank you. Your love for Sam shines through the sadness. What a wonderful sister you are to your brothers. This is beautiful. I actually had a dream about both Yael and Sam the other night (even though I never met either of them personally); it was so vivid and I enjoyed getting to hug both of them tight. How touching that she wrote that about her brother and shared her feelings about having a sibling with cancer and then losing them.